No matter how many times one hears the phrase ‘you get what you pay for’, we’re always on the lookout for a great deal. Paying less leaves you with more change in your pocket, but if you’re looking for a high performance electric bike, what do you get if you pay a little more? Those who know, know that when it comes to quality and high performance, the ‘you get what you pay for’ ethos always applies. Cutting corners to save a few bucks, could literally leave you in for a shock. Top quality starts from the ground up. A high quality electric bike is supposed to provide you with years of safe and reliable fun without the need for excessive maintenance or repairs. Componentry, design and personalised customer support are all important factors when it comes to getting your money’s worth. And giving you your money’s worth is where Australian made, Stealth Electric Bikes leave competitors in their dust. The backbone of any decent electric bike is a first class frame. It needs to be light, durable and comfortable while maintaining precise handling characteristics at high speeds. Add some dirt, rocks and jumps to the mix and that goes tenfold. At Stealth, we manufacture all our electric bike frames out of our Melbourne factory. Constructed with a top quality chrome alloy, it gives pilots confidence that they can do whatever they like with their electric bike without fear of frame failure. It’s such good quality that we’re able to put a lifetime warranty on the frame – you’re not going to get that by cutting corners. Designed and manufactured at Stealth HQ in Melbourne, our team of designers and engineers stem from a mix of enduro, trials and downhill disciplines. Using aircraft grade CroMoly alloys, each of our high quality monocoque electric bike frames is laser cut, machined and TIG welded by a specialised team of craftsmen before being assigned to its four stage coating process. The Stealth team are so confident in the quality of our frames that we back it up with a lifetime warranty on every unit that rolls off our factory floor. When it’s time to hit the throttle, the battery is the single most important component. 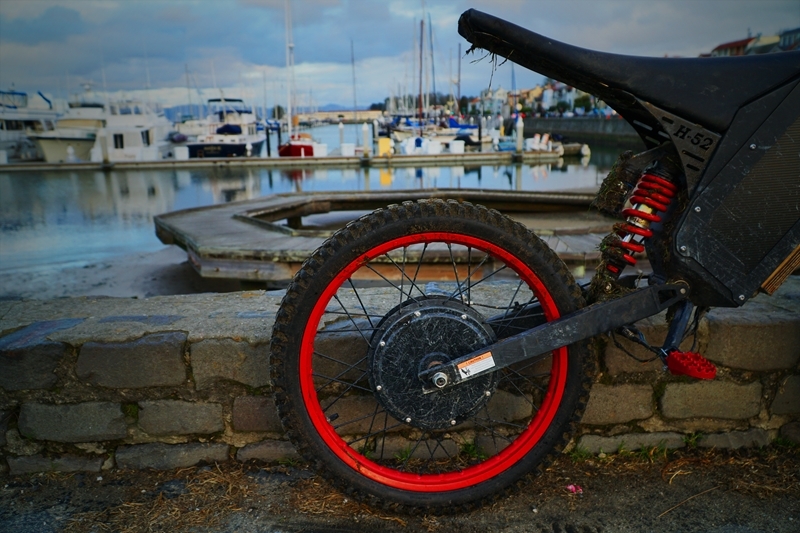 Usually the most expensive piece of a high performing electric bike, a substandard battery can mean the difference between a long power wheelie home or a longpedal home. Power to weight ratio, range, cycle life and safety are the four most important factors when it comes to selecting the right power source and the Stealth team work hard to stay ahead of the pack. The Stealth B-52’s 2.0kWh lithium-ion battery is a great example. The inbuilt battery management system (BMS) takes care of the battery pack by individually monitoring each of the 66 cells for temperature, state of charge as well as charge and discharge rates. Hot off the charger, B-52 pilots can expect up to 800 cycles of smooth, responsive, maintenance free power delivery without worrying about range anxiety or servicing. High quality components may cost more in the long run, but this is far outweighed by the benefits. Equally as important as a long lasting battery is a reliable drive train. The motor itself is what converts those tiny electrons to mechanical energy (torque,) and rotational drive. Over the last 100 years electric motors have continued to become smaller, lighter and more efficient which directly translates to better performance and more range. The new generation of high powered BLDC hub motors used in the Stealth B-52, F-37 and H-52s have recently seen a 20 per cent increase in torque, backed up by a 25 per cent reduction in weight and a significant reduction in rolling resistance. Benefits include better acceleration, better handling and a noticeable gain in efficiency, all translating to a higher performance and reliability, not to mention several years of maintenance free riding. Arguably the most critical components for maintaining a smooth ride are the ones designed to give you maximum traction – suspension and brakes. When accelerating, coasting or washing off speed, a tyre that’s not biting firmly into terra firma is inefficient and ineffective. In general terms, suspension provides the link between the tyres and the trail, and the better the suspension, the more traction you’ll have. By the same token, an experienced rider needs to have confidence in his/her braking system to maximise cornering speeds, stop or swerve precisely and safely. 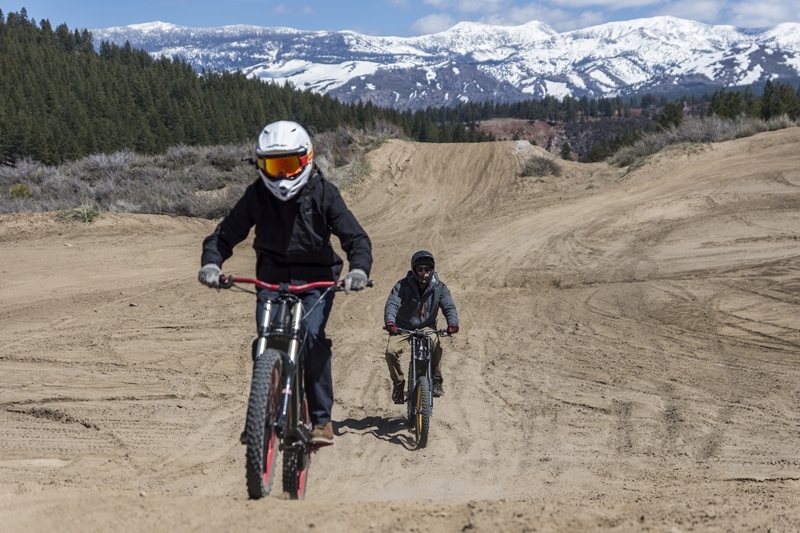 Riding ability aside, the suspension and brakes need to work seamlessly for a rider to get the best performance from their ride. We use Magora MT5 brakes on our offroad bikes, with room for an upgrade to the beastly MT7 set. Stealth’s high performance electric bikes are built for speed – it’s only right that we deliver brake components that are at the same level. Stealth’s B-52, F-37 and H-52 all come standard with DNM’s heavy duty suspension package providing customers with air adjustable forks at the front end, and a progressively wound coil over oil shock in the rear. For most riders, this package has enough adjustability to tackle 90% the toughest terrain while confidently keeping the tyres firmly planted on the ground. For those who are a little heavier or like to spend a little more time in the air, Stealth also offers the American made MRP Groove 200 forks with stiffer spring rates and more adjustability. When it comes to stopping, we’ve got that covered with Magura’s 4 piston hydraulic calipers and huge 203mm rotors at both ends. Off the showroom floor, each Stealth comes standard with heavy duty MT5 brakes which give the rider accurate feedback and stopping power using just one or two fingers on the levers. If the MT5’s aren’t enough, riders can upgrade to Magura’s top of the line MT-7 brake package which has more lever and bite point adjustability and uses one monobloc brake pad per piston. The result, four leading brake pad edges simultaneously biting down onto a 203mm rotor with a powerful yet precise braking action that feels like your emergency chute has just been deployed. Quality suspension and braking components give pilots safety with their speed. Purchasing a new toy that’s so radical can raise a few questions. Do I need to do any maintenance? How do I clean it? Is it easy to fix a flat tyre? Where can I buy spare parts? These questions and more run through the minds of any smart person who’s just bought their dream machine. A great purchase not only involves a great product but also streamlined customer support…. and no call centres. Stealth didn’t make the world’s best electric bike by accident. Our experienced support team has spent over 10 years designing, refining and learning from our mistakes. Weekly team rides and debriefs keep the crew up to speed and on top of their game for any challenges that might come up. When you call Stealth HQ, there’s no sequence of buttons to press and no call waiting. You’ll speak directly to one of the team who either designs, builds or rides Stealths – religiously. While contemplating your next purchase, don’t just imagine your first ride, imagine your 100th, 500th or 1000th ride. Each and every Stealth is designed and manufactured to give you many years of unforgettable adventures, just like the day you bought it. Don’t leave your ride to chance. 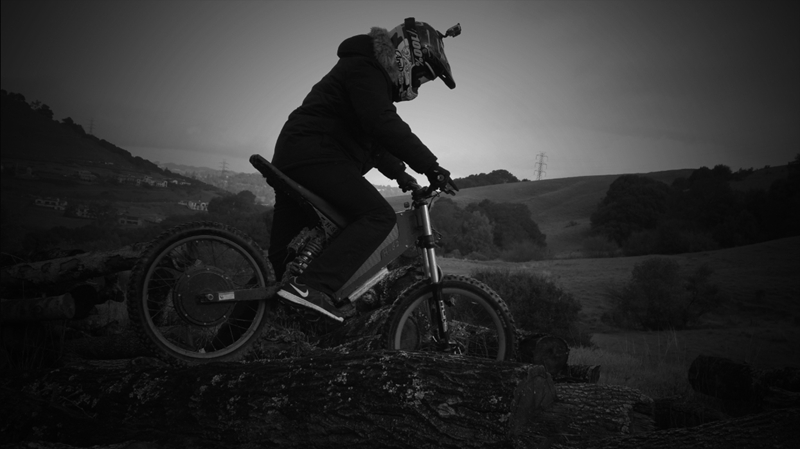 Get in touch with the Stealth Electric Bikes team today.